Ok, this month's Meetup Theme will be focused on a topic that many of us think about on a daily basis... Personal Finance. Specifically we are going to have 3 engaging speakers this month that will address two topics of interest... Creative Investing, and Leveraging Insurance. 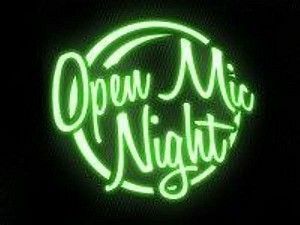 Will also have an Open Mic Night to allow some of our members to provide some updates on projects they are working on or topics of interest to them. And we will welcome some of our new members this month. In our first Entrepreneurial segment, both Daniel Glanville and Matt Mullane, (who are officers with CKFMetals) will be presenting an overview on "Creative Investing". CKFMetals is a leader in Precious Metals Acquisition, Transport and Storage. They are offering a Private Placement that is uniquely designed so that investors of all types and levels can participate. It is a 12% fixed-interest rate on a 1 year renewable Senior Secured Note. CKMetals is also offering the ability to participate in a direct shipment of the gold they have secured all over the globe. As an investor, you will have your choice of sharing in the profits generated from the transaction or take possession of the gold at a significant discount. Matt and Daniel also run a consulting firm that helps bring investors and entrepreneurs together. With over 30 years of experience in the financial sectors and many contacts in that world they are uniquely qualified to make things happen. They can operate as consultants and help bring businesses from seed to start, help refine your pitch and message for investors, help secure funding, and everything in between. Currently they work with CKFMetals, a gold mine in Fairplay CO, two cannabis/technology offerings, a low-flow toilet prototype, and a veteran's sanctuary. If you would like a consult or to hear about any of these opportunities please speak with them at the meetup. Matt Mullane brings 25 years of financial industry experience to CKF Metals. Over that time Matt has worked with Financial Advisors, RIA's, High Net Worth and individual investors. Matt prides himself on being transparent and always doing what is in the best interest of the investor. Matt has raised more than 2bn for companies he has represented over the course of his career. 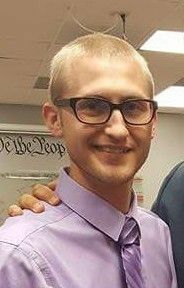 Daniel Glanville has spent most of his adult life serving. After a successful 8 years of service in the Army, he chose to move into the financial sector. Here he brings passion for helping people through coming along side as a coach. He loves working with people and businesses and helping achieve their goals no matter the stage of life they are in. For CKFMetals he brings a wealth of connections and creativity that help bring solutions to the company as well as each investor. Jerome was born and raised in Appleton Wisconsin and moved to Colorado Springs in 2007 after Joining the Army. Jerome was stationed at Ft. Carson as a wheeled vehicle driver for his entire military career and deployed in support of Operation Iraqi Freedom and Operation Enduring Freedom in Afghanistan. Jerome transitioned from active duty to Army reserves in 2011 and is still currently a Signal support NCO for the 440th Civil Affairs Battalion. Since then, Jerome has become an entrepreneur starting his own real estate investment company and most recently joined forces with PHP Agency. So bring on your project ideas, and challenges and let's do some problem solving and brainstorming to help you come up with some solutions. And Bring a Friend ! Looking forward to seeing some of our new members this month ! So, instead of just a high-brow, all business meeting this month, were going to relax and have some fun celebrating our 10th anniversary ! This does not replace the BBQ Event we have been discussing.. (We still want to hold this in August), but will allow us to put up our feet and relax a little and allow both our old and new members to get to know each other better. We will discuss the proposed BBQ event in August tonight as well which we have tentatively planned for Saturday August 19, 2017. I will also be providing some updates on two tiny house festival events that are being held in July and August in Colorado for those CSE Group members who are interested. THIA, (The Tiny Home Industry Association) will be exhibiting at both Festivals and is our co-sponsor tonight for food and drinks for our QuickBios Sessions. I will provide some project updates on some of our current projects and companies and Venture Development Cluster activities, and will provide a recap/review on our 10 years of Meetup experiences, but this will not be a long-winded talk... just a quick summary of some of the highlights of our journey together. Then will get back to socializing and opening up the floor for member input and feedback and suggestions on what they would like the CSE Group to look like in our next 10 years ! All Ideas are welcomed for meeting formats, speaker opportunities, entrepreneurial service ideas, collaborations with other local and state entrepreneurial and small business groups, etc. As always will give each member ample time to introduce themselves and their personal and professional interests ! So, I'll see you tonight at the East Library on Union at 6PM ! Well, we are back at our "East Library Home" this month for our April meetup... and we have a great set of 2 Business Speakers for you this month that I'm sure you will find quite engaging and informative. Be sure to bring a friend this month as we are going to "open up the doors" to some serious PERSONAL FINANCE INNOVATIONS from Mike Wilkinson at MyNetSum who will be introducing their new personal credit management and budgeting services that I believe represents a "fresh new take" on financial planning services. And to round out the evening, come and get some serious BUSINESS RESEARCH TIPS from Terry Zarsky from the PPLD who after 30 years of service... definitely knows where everything is ! First up, will be an introduction by Mike Wilkinson, the CEO of MyNetSum. I first met Mike about a year ago as he was making plans to re-locate his business and family to Colorado Springs from New Mexico, and as he was putting some of the final touches on his MyNetSum vision. I think you will find his personal story of early childhood struggle, and eventual rise to successful businessman and father quite inspiring. 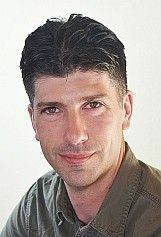 Mike’s career started as a car salesman where he discovered a flaw in the system and has spent the last 7 years helping people work through their financial struggles and have the resources to live their desired lifestyle. Mike’s married to Natalie and the father of 6 children. They spend their time focused on the most important things in life for them; family, education, and their faith. For business owners and wannabe entrepreneurs, Terry Zarsky is the go-to woman at the Pikes Peak Library District in Colorado Springs. I have known Terry for well over 5 years now, and every time I see her... she is supporting local small business people and entrepreneurs ! One of this communities real "gems".... Always upbeat, Terry knows virtually everyone in town, and she earnestly wants to help people to start or grow a business. Her knowledge, courses and consulting are free, thanks to the library. And she has been doing it for 30 years at PPLD ! At this months CSE Group meetup will have Terry Zarsky, our resident Research Guru "Live and Uncensored" ! Well I'm sure Terry will be in "good form" as she will speaking at her "home turf" at the East Library, but she will amaze you about how much she really knows about small business research and how to make it "Work" for you in your business. For many local small business people... Terry Zarsky is one of the community's most valuable resources. In an age where endless data is available on everything, knowing where and how to find the answer you need becomes a skill without price. Her experience as a reference librarian means she knows what resources are available and how to use them. Her passion for information means that she is dedicated to sharing that information in a way that makes it accessible to the everyday searcher. On the clock or off, in the library or at a community event, Terry is always eager to share learning and experience. She is an engaging and passionate speaker with a real love of her subject. Terry is often a featured speaker at the Small Business Development Center helping people understand the resources available to them to build successful business plans and understand target marketing. With her help, the research process is streamlined as she leads people to find exactly the right information for their particular purpose. We may have 1 or 2 other 10 Minute Entrepreneurial speakers, so will update you this week on the agenda as we get them confirmed. Looking forward to seeing many of our new members this month... ! For this month's meetup we will have a "light" meeting agenda to provide some updates on a number of projects some of our group members are working on, and will cover some updates on our Alternate Energy Venture Development Cluster. 2. A briefing on some developments up in Denver this weekend, (Fri-Sun) at the Flight to Denver Program being put on by Project X-ITE at the Univ of Denver, the United Nations Foundation, and OEDIT to bring in entrepreneurs from around the world to Denver to work with innovation experts and mentors. 3. Will provide an update on a new Manufacturing Innovation Center that is being developed here in the springs by an innovative local entrepreneur. Also will have "Open Mic Night" as well to turn the Mic over to attending members to provide updates on your projects, requests, staffing needs, technology challenges, etc. Looking forward to seeing some of our new members tonight ! We have a great February Meetup planned with a Featured Business Speaker and Two Entrepreneurial Speakers. Also, we will also provide an update on our SaaS/Cloud/Internet Venture Development Cluster activities. We will be meeting again at the ENT Conference Center at Library 21c at 6PM on Tuesday February 28th so update your calendars. I've known Michael now for just under 2 years after meeting him initially at a local YWAM Emerge conference here in the Springs, and then following up with him a year later on a Clean Tech Open company I was mentoring at the time who was looking for international markets for their innovative hand-held electricity generator (SIVA). Many of you came and saw David Delcort's presentation on SIVA Cycle and their innovative ATOM USB Bicycle Charger at our Aug 2015 Meetup. Recently, Michael has introduced me to his new start-up and entrepreneurial training program called "The Leadership Institute For Entrepreneurs", which is a new venture for Entrepreneurial Training services he has developed utilizing a world class template from an MIT Bootcamp that he has updated and enhanced for the LIFE Program. (See below). On the non-profit side, Michael was a Founder and the Executive Director of a non-profit operating in more than 150 countries over a 15-year time span. 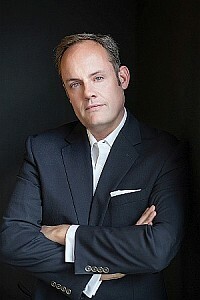 During his tenure, the organization launched two global networks; one focused on business development and the other on disaster preparedness and response. Michael is now focused on launching the Leadership Institute For Entrepreneurs (LIFE) to help emerging entrepreneurs with a whole product solution ranging from ideation all the way to operations and scaling and a supporting ecosystem for funding and growth support. Michael is certified by MITx to train the Global Entrepreneurship Bootcamp course curriculum. The Leadership Institute For Entrepreneurs (LIFE) was birthed out of a desire to equip growth-oriented entrepreneurs with the tools they need to de-risk the startup, grow their business, and scale successfully. His search led to MIT (Massachusetts Institute of Technology). MIT’s Global Entrepreneurship Bootcamp provided the skills and learning environment we were looking for to equip the next generation of business leaders. The MIT Bootcamp provides a rapid, just-in-time, value based immersion experience. Following completion of the MIT MOOCs (massive open online courses), the student Global Entrepreneurship Bootcamp and the instructor Bootcamp, we set our sights on launching the LIFE Entrepreneurship Boot Camp prototype. The first LIFE Entrepreneurship Boot Camp (LEB) launched on Oct 17-21, 2016 in Colorado Springs CO. With the help of MITx as a knowledge partner, his goal was to try and replicate the MIT experience. The LEB launch was attended by 18 students from 6 countries and supported by 4 mentors (2 were MIT GEB Alumni) and 5 Demo Day judges, 3 being investors. The Demo Day winning team was approached the following week for investment by one of the investors ! Our first Entrepreneurial Speaker will be Mr. Clinton Knox of Brainitz , (a new Colorado Springs based web-based video education solutions company. Brainitz turns videos into interactive lessons. Brainitz is a web based tool that allows teachers to take recorded lessons and embed questions throughout the video to ensure understanding. Videos pause when a question pops up, if a student gets the question wrong, the video goes back to the missed information, replays and asks the student the question again. Unlike traditional videos, Brainitz checks for understanding throughout the video and reteaches the student as needed. In High School and early college Clint Knox created web pages for the US Army Corps of Engineers. He graduated from Southern IL University with a degree in Education and immediately started working for the YMCA. After moving from Program Director to Executive Director of four years at YMCA Camp Shady Brook, Clint transition into teaching. 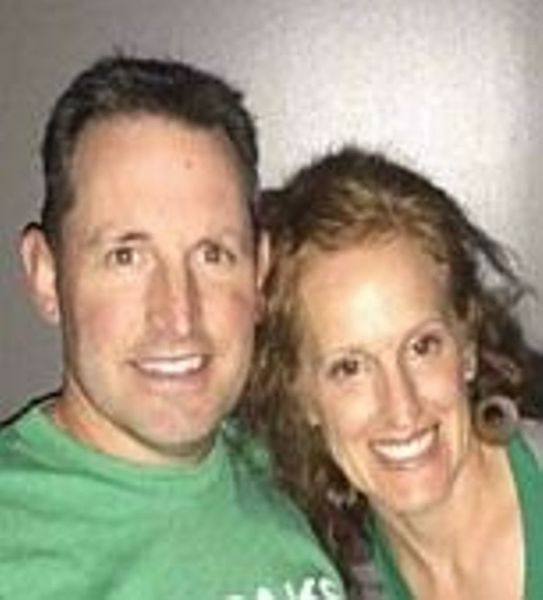 During his 9 years as a teacher he received his Masters from Colorado College, became a National Board Certified Teacher, and started, ran, and sold Spree Racing LLC, an event management company. He is now the founder and CEO of Brainitz an education technology company that turns videos into interactive lessons. 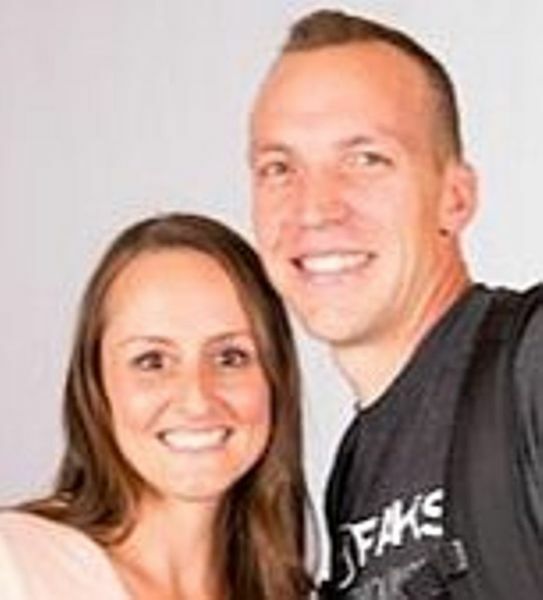 Aside from his career, Clint Knox an Ironman triathlete, accomplished power lifter, is married to an amazing wife, mother, and doctor of physical therapy, and is a proud father of a one year old girl. Our Second Entrepreneurial Speaker will be Daniel Glanville, of Precision Wealth Management. Daniel is a long time CSE Group member who is a Financial Advisor and is now working with a local Colorado Springs based MyNetSum, which is launching and offering a number of innovative personal financial services. MyNetSum has simplified the financial language, put it into processes that work to save you as well as make you household money. 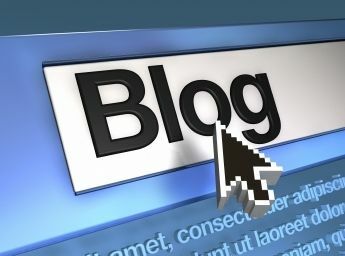 More importantly, MyNetSum shows you how to focus your finances on your lifestyle. 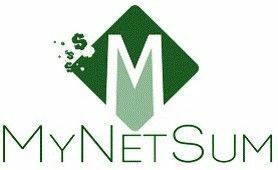 MyNetSum has developed a revolutionary financial approach has already helped thousands across the nation live their lifestyle of choice while being in control of their finances. In Daniel's talk, he will be presenting a creative way we can all own a piece of the greatest investment of all time. The Human Spirit. Through inventive solutions we can give the everyday person access to investments and strategies traditionally reserved for the likes of Warren Buffet. His title may be Financial Advisor at Precision Wealth Management, but he considers himself more of a "coach". In it's original meaning a "coach" was a vehicle meant to get you from one destination to the next. It did not matter where you were, a coach would pick you up and take you one or more stops closer to your final destination. It could even take you all the way there. At Precision Wealth this is Daniels Philosphy as an adviser. And rounding out the evening, I will provide an update on some new developments in our SaaS/Cloud/Internet VDC as it relates to some new developments in Healthcare Information Exchange software solutions we are looking at deploying and some new software, company, and eco-system developments locally in the intersection of Cyber Security and Health Information that I think you will find quite interesting ! So, bring a friend and sit back for a great night of engaging business and entrepreneurial speakers along with some high-caliber networking that you can only find locally at the CSE Group Meetup ! Ok, to start the new year off... we will be meeting again for the second time at the ENT Conference Center at Library 21c as our "home meetup space" at the East Library was fully booked for the last two weeks of January. This will be our first meetup of the year to cover our continued development of the Homeland Community Responders Venture Development Cluster that Brian Siravo of Accinctus and I have been working on over the course of the last year. The HCR/VDC creates a collaborative community-focused environment to address challenges and find solutions within the cyber security, homeland defense, business continuity, and community preparedness areas. These disciplines share many common interests in the goal of protecting our local community, while working with both state, and national agencies, who utilize similar processes, tools, and strategies while addressing very different needs to prepare for, respond to, and recover from natural and man-made disasters of any size. The Integrated VDC model includes a focus on four “interconnected clusters” of “Domain” experience and community collaboration that creates a balanced HOMELAND Community Response when they are working together towards common objectives. Each Domain and focus area bringing professionals and participants across multiple disciplines, professions, and organizations together to address local challenges and develop appropriate HOMELAND Community Responses that align with the community members in each area. (Information Sharing and Analysis Organization) already established locally. Involve health care providers, payers and consumersThe Center of Excellence will include a Governing Board of 7 key members with skills sets across Healthcare and Cyber Security Technologies, as well as the formation of a supporting Advisory Board of between 10-20 subject matter experts in Internet, Networking, Software Development, Cyber Security, Healthcare Informatics, Healthcare Services, etc. Scheduled for Tuesday, Jan 31, 2017 at 6PM at Library 21c Ent Conference Center. We have a great December Meetup and Holiday Mixer Planned with two new start-up company speakers and our famous Holiday Pot Luck Feast ! 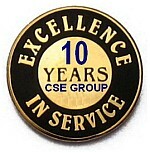 To celebrate our 9th year, (that's right in July we passed the 9-year mark...), I've just not updated the "Excellence in Service" badge at the top of our site yet, as well as the results of the last election and new incoming administration we are planning a great end of the year Meetup and Holiday Mixer. In our tradition of celebrating local entrepreneurs and providing a platform for them to promote and pitch their companies, products and services... I spoke with Kirk Gillespie one of the co-founders of M-PAKS and he has agreed to provide a free M-PAKS Travel Backpack for a prize drawing at our December Meetup and Holiday Mixer where Kirk and his brother Kevin will be one of two featured Entrepreneurial Speakers presenting their new company "M-PAKS" to the Colorado Community, and demonstrating their unique Multi-functional backpack. You have to be present to win at the December meetup with an individual ticket that will be thrown into a "hat" for the drawing. M-PAKS is expecting an initial shipment of their new Travel Backpacks in December from his manufacturer and the prize winner will receive their Backpacks in December. < Dr. Kevin Gillespie is a board-certified Periodontist with Masters' Degrees in oral biology and business administration. He is the inventor and co-founder of M-PAKS. He is happily married with four children. He currently serves as the Chief of Periodontics at Fort Carson and the periodontic mentor for the Army Advanced Education Residency in General Dentistry. > Kirk Gillespie received his BA and MA in Organization Communications. His passion is to uplift and inspire others wherever possible. After spending nearly 10 years in real estate investment management to improve training an culture he teamed up with his brother as co-founder of M-PAKS. His wife and two kids bring a smile to his face each and every day! Our mission is to inspire and uplift individuals around the world. Never before has a travel backpack offered you so much! Before you had to choose between a travel or adventure backpack to either have a frame or not. Not only does the M-PAKS frame come in and out of the backpack easily, it also is a mobile chair!! Don't waste money shopping around and buying multiple bags. Get an M-PAKS and you'll get a travel bag that you can pack heavy or light, a messenger bag that's great for the office or day bag and a frame/mobile seat that's comfortable for adults or kids -- and because only the best materials are used you'll have all these options for you and maybe even your kids to use for many, many years to come. Impact Your World!! Frame or Frameless? That is the question. Never before has a travel backpack offered you so much! Before you had to choose between a travel or adventure backpack to either have a frame or not. Not only does the M-PAKS frame come in and out of the backpack easily, it also is a mobile chair!! The materials are made with the highest quality (1680 Ballistic Nylon , metal zippers, etc- the same materials used in Tumi and Tortuga backpacks) , the frame/chair weighs just under 3 lbs (approx 2.8 lbs) and the size is compact enough to fit on an overhead compartment of an airplane (backpack dimensions are 22x15x7) yet still able to pack 5-7 days worth of stuff for travel! Schedule this December Meetup on your calendar as we celebrate another new Colorado Springs Start-up and the Entrepreneurial Gillespie Brothers (Kirk and Kevin) who are launching their innovative consumer travel product. For those of you who have already registered for the Meetup / Holiday Mixer... This update includes your Prize Drawing Ticket that you need to print out, enter your name and bring it along with you to include in our Holiday Mixer Prize Drawing for an MPAKS Backpack, (See the Updated Email Link below for details). You can still RSVP to come if you have not already, and feel free to bring a guest or friend ! Just copy, print and enter your name on this Holiday Gift Drawing Ticket and bring it with you to the Meetup. Our second Entrepreneurial company Pupp Tech (formerly Go Pawsible) and their founder and CEO William Loopesko will also be presenting his new company that has developed an innovative battery powered air conditioner for use with animals in cars, or for unique cooling applications that requires compact spaces, and smart-phone communications. It makes it safe to leave animails in the car so you can spend more time traveling with your pets and less time worrying about it. They have developed the "Pup Waggin" a portable, ice-cooled, battery powered air conditioner that cools the entire inside of the car of a car to a temperature that's safe and comfortable for your animals , even when it's 100 degrees outside. The Pup Waggin' will stream data directly to an app on your smartphone so you can check on your dog and get alerts in case anything changes that requires your attention. The Pup Waggin' also includes a window display that shows the temperature inside the car to any passersby so they can know the dog is safe. In the future, Pupp Tech will develop new products, software and services to help all animal owners be able to experience a better life with their pets. William Loopesko is a dog owner, an eagle scout and an engineer. After getting a Master's Degree in hydrology from the Colorado School of Mines William spent 3 years working for a civil engineering firm before realizing that working for other people wasn't how he wanted to spend his life. While he was an engineer, William adopted a dog because he wanted a partner to go hiking with, but quickly realized hiking with his dog is impractical because of the difficulties of traveling with a dog in the car. He set out to solve this problem and make the world safer for all dogs by making it safe to leave dogs in the car, regardless of how hot it is. To access our "User Contributed Pot Luck Registration Form" that has become an annual favorite of the CSE Group where we get a ton of great tasting food provided by our members for our Holiday Mixer. CLICK HERE ! Looking forward to seeing you at our December Meetup and giving away one of these innovative M-PAKS Travel Backpacks...! Tonight we are back at our "Home Base" at the East Library and planning a small meetup (anticipating that many folks are traveling this week to meet with Family and Friends for Thanksgiving on Thursday). 6:00PM at the East Library on Union Blvd. This month we moved up our meetup date to this week, (instead of the last week of the month) to synchronize with our December meetup and Christmas Pot Luck Party which will also be held in the third week in December, (12th) in anticipation of the holiday schedule. We will be providing some updates about the recently held Tiny Home Industry Association Action & Impact Conference that was held last week here in Colorado Springs that Ensemble helped to play a role in... We made some good progress in establishing some "support ground work" for the many building coding, zoning and ordinance challenges that face the industry, with some specific "next steps" of action the industry will take moving forward including the development of an ANSI standards setting effort, as well as some unique technical and legislative lobbying activities.. We will review what the goals and objectives are for the Tiny Home Industry, and how Colorado Springs is playing a major role in becoming the "Tiny House Capital in the USA". I will also provide an update on the recently held, Stand Down, (Oct 2016) and the THI - Transitional Housing Initiative (Nov 2016) that VSS, (Veterans Support Solutions, L3c) participated in. This is an annual event to help support Homeless Veterans that is produced and managed by the El Paso County Homeless Veterans Coalition. 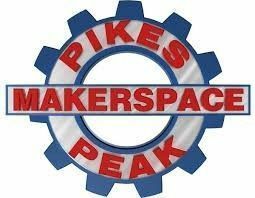 At tonight's meeting and again in December (on the 12th at our Meetup and Christmas Pot Luck Party) we will be holding a drawing for a free M-PAK Travel Backpack that is being developed and launched by a new Colorado Springs based company named "M-PAKS". In our tradition of celebrating local entrepreneurs and providing a platform for them to promote and pitch their companies, products and services... I spoke with Kirk Gillespie the founder this week and he has agreed to provide (2) free M-PAKS Travel Backpacks for our meetup drawing tonight, and again for a second drawing in December where Kirk and his brother will be our featured Entrepreneurial Speakers presenting their new company "M-PAKS" to the Colorado Community, and demonstrating their unique Multi-functional backpack. This will be at our Annual Christmas Meetup and Pot Luck so should be a fun night ! Schedule this Meetup on your calendar as we celebrate another new Colorado Springs Start-up and the Entrepreneurial Gillespie Brothers who are launching their innovative consumer travel product. You have to be present to win both tonight and again at the December meetup with an individual ticket that will be thrown into a "hat" for the drawing. M-PAKS is expecting an initial shipment of their new Travel Backpacks next month from his manufacturer and both prize winners (in Nov and in Dec) will receive their Backpacks next month. So bring on your project ideas, and challenges and let's do some problem solving and brainstorming to help you come up with some solutions. Looking forward to seeing you tonight and giving away one of these innovative M-PAKS Travel Backpacks...! Pass through the main entrance, make immediate left, then right down long hallway, look for meeting room sign. We decided to "double-down" on our June meetup and move it to our July meetup that is scheduled for Wednesday July 27th at 6:00PM the East Library. Because we are going to be hosting a special "Hacking Housing" Sneak-Peak meetup where we are going to be providing an "advanced" look at our new Tiny Home CLUSTERING Community concepts, and "Adaptive Community Development Codes" that we are creating to enable Tiny Houses to be built into "smart micro-grid" communities. 2. Mr. Jack Dody, a Tiny House Enthusiast and Missionary who has been building tiny homes for 50 years ! We are going to be gathering around a round table and engaging in a discussion that is going to be a "preview" to some of the topics we will be addressing at the Jamboree in our booth and in one of the Industry panels on Sunday Aug 7th. For more information about the Tiny House Jamboree go HERE. We are preparing our message and vision for our larger exhibition at the Jamboree where we will be exploring and showing solutions to Veteran Housing, Low Cost Housing, Sustainable Community Developments, etc. In our July meetup we are going to "test drive" some of our integrated concepts publicly with a panel of professionals who will present to the CSE Group members to solicit feedback and suggestions as we hone our strategies. Come and participate in the process of "Idealization, and Envisioning" as we put our strategic messaging and tactical positioning models together. Todd brings creative private-sector planning experience tempered by a delightful public-sector planning perspective. He served as the Planning Director in Manitou Springs for 6 years, where he handled a wide variety of development and transportation projects and was instrumental in helping to update and steamline the development review process. He also secured over $1M in state and federal grants including substantial federal funding for a successful downtown street scape project that helped to transform the town into ‘One of the 10 Coolest Small Towns’ in the country, according to a national travel magazine. He also helped secure funding for a 3-year free shuttle demonstration project. 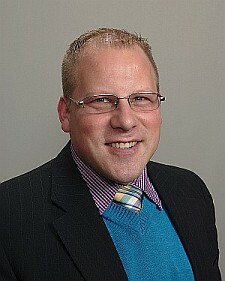 Todd is the Founder and Principal Planner of Planning Matters LLC. He thrives when planning for sustainable & affordable development; mixed-use projects; infill development and solar responsive buildings OR when hiking, mountain biking or cross-country skiing almost anywhere. Jack Dody is a minister to the poor, serving with Equip international which is based in Marion, North Carolina. His systematic, five-point program for the alleviation of poverty is being used by missionaries in more than 100 countries. Mr. Dody's training manual, Abundaculture, is available at no charge, world-wide. Go to Abundaculture.org to download the manual. Jack lives with wife Marilou on a research facility 50 miles east of Colorado Springs, Colorado. For 18 years the Dodys have lived entirely off-the-grid, making electricity using the sun and wind, gathering rainwater and planting intensive gardens in 100% compost made from a sawdust toilet. Jack and Marilou live in a passive solar home. When working in Colorado Springs, Jack lives in an 8X16 Tiny House, which is also completely off the grid. For 50 years Mr. Dody has been designing and building tiny living structure in a effort to create truly affordable housing for the poor. Looking forward to seeing you Wed Night the 27th ! For this month's meetup we don't have a theme planned, or specific speakers... to present, so its going to be a little more "free flowing". We are opening up the floor to an expanded "Open Mic Night" (See below). I will provide some updates on some of our local initiatives in the Alternative Energy and Healthcare Area for those that are tracking along with some of our projects.